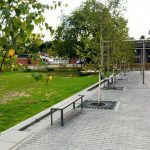 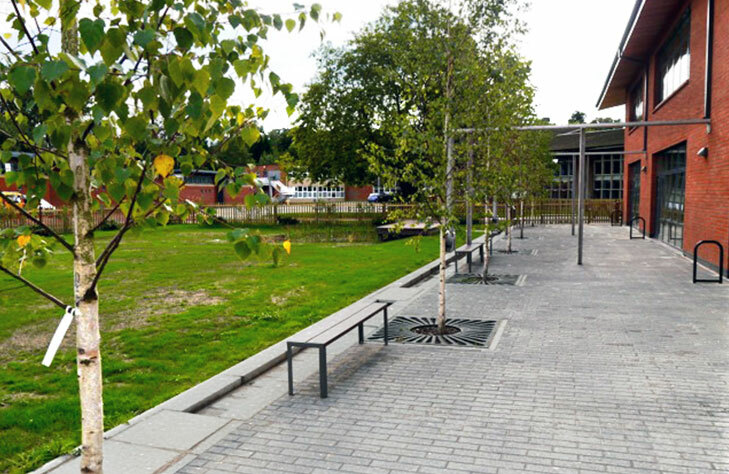 Around this new school, standard precast concrete units form rills handling rainwater from conventional concrete block paving and roofs – some via animated water features. 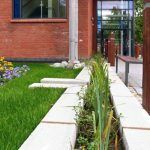 An integral part of the landscape design, some rills are planted and feed rain-gardens and other SuDS features. 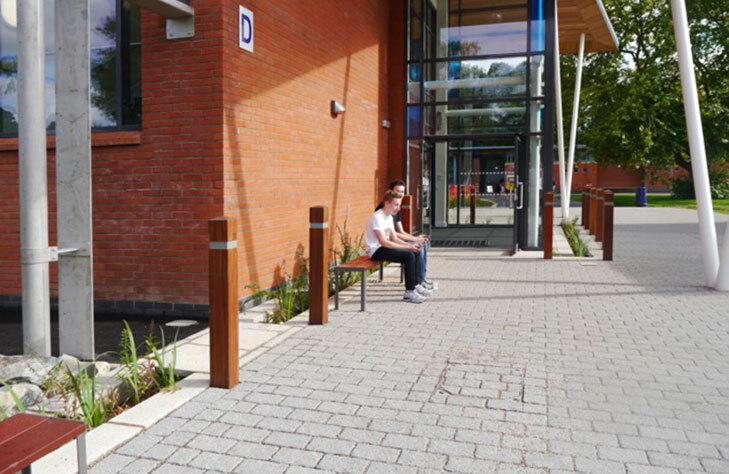 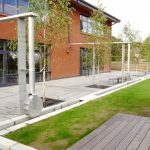 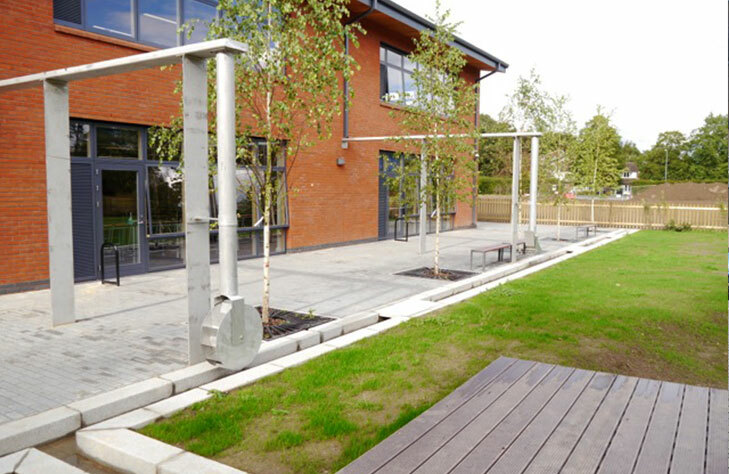 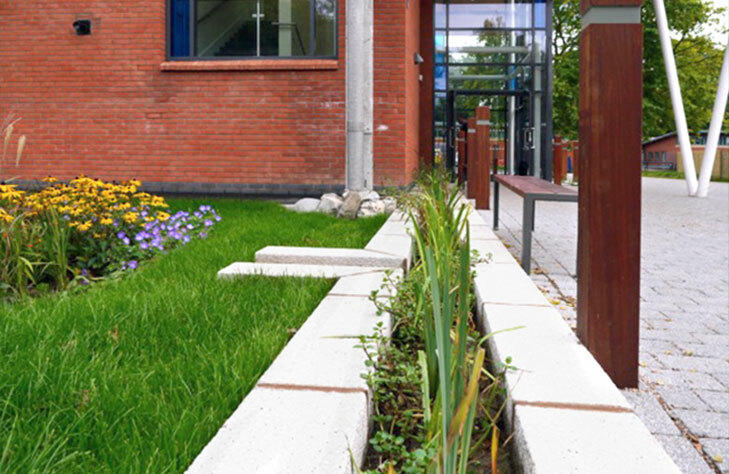 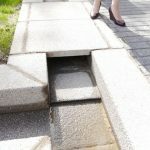 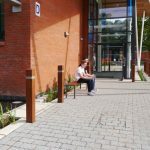 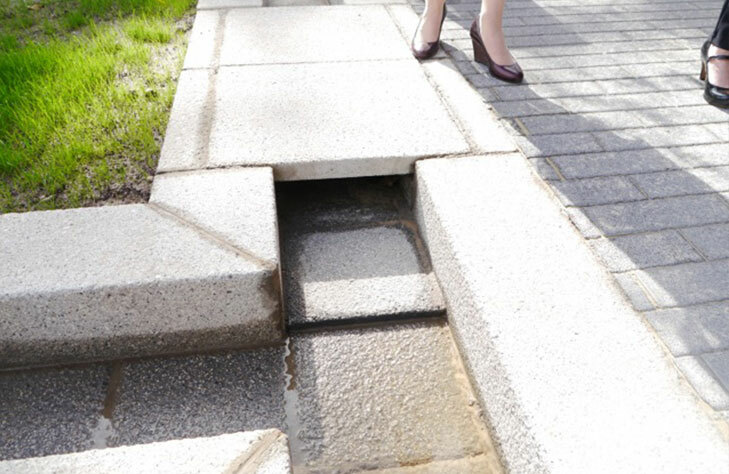 This project is included in Innovations with SuDS Hard Landscape available here.